Lots of “experts” are putting forth their own predictions as to what will become the food trends in the US for the coming 2017. Some of these predictions are rather outlandish, while others seem like wishful thinking. However, you may want to take a look at some of the dishes that enjoyed a sudden boost in popularity in the US in the last year. The demand for them may continue, and so that means they’ll be big in the coming year. These are made from green (unripe) plantains. They’re peeled and sliced (usually cross-wise), and then fried twice. Patacones is a favorite Colombian menu item. It’s commonly available as an appetizer with hot salsa (aji), tomato and onion sauce (hogao), or guacamole. It’s also served as a side dish for various fish dishes, so it’s like a version of fish and chips. It’s popularity in the US went up by 48% in 2016. It’s known by various names depending on the country. It’s also called tostones, tachinos, chatinos, fritos verdes, and bananas pesées. This is a common street food in Vietnam, and US diners have asked for 78% more pho in 2016. It’s a noodle soup with broth, banh pho rice noodles, some types of herbs, and either beef or chicken meat. Yes, the term “Tater Tots” is a registered trademark, but a lot of people are using it as a generic term for deep-fried grated potatoes. It first came out in 1953, and Americans consume about 70 million pounds of it every year. But in 2016 it became even bigger, as the demand increased by 85%. This is the cut of meat from the lower chest or breast of beef, though sometimes it’s veal. This has always been popular, but in the last year the demand almost doubled. In Austin, the demand for brisket sandwiches more than tripled in the last year. This is one of the more familiar Latin American soups, and US residents asked for 126% more of it in the last year. There are numerous variations of Sancocho, as different countries have their own favorite versions. There are even versions of it in Italy, Germany, and the Philippines. This is a popular street food in Japan, and it’s also known as Octopus Balls. The making of it starts with a batter with a wheat flour base. You then add minced octopus, along with pickled ginger, green onions, and bits of tempura. It’s typically served with takoyaki sauce that resembles mayo and Worcestershire sauce. This Japanese street food is now very popular in US restaurants. The demand for it has gone up by 139%. This is Hawaiian food that’s very popular for lunch and for snacks. You have a slice of grilled spam, which you then place atop a block of rice. You then wrap the whole thing together with nori, just like you would with omusubi. Spam musubi just about everywhere in Hawaii. Now its presence is increasing in the mainland too, as the orders have gone up by 161%. There are several popular versions, such as adding furikake to the rice. You can also have takuan or scrambled egg placed between the spam and the rice. Even if you’re not a foodie, you must have noticed the increased popularity of poke in 2016 all over the US. It’s bound to be even more popular in 2o17, since the demand for it increased by 169% last year. This Hawaiian specialty is made with cubed fresh raw seafood. It’s usually octopus or tuna. Then it’s mixed with sesame oil, green onions, and soy sauce. It’s served over rice. You pronounce it as “po-kay” when you order it. 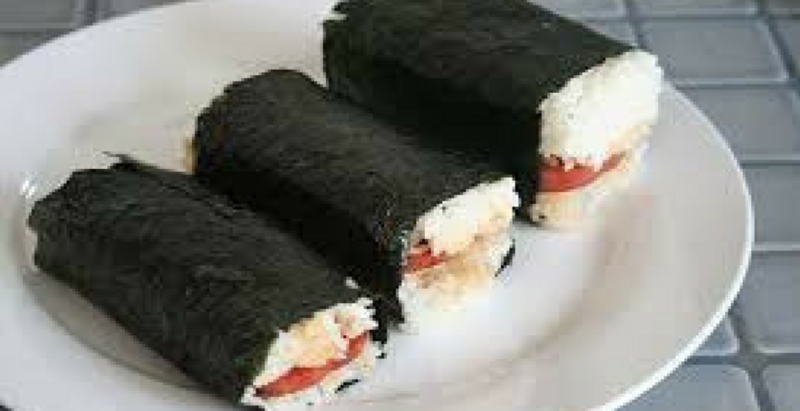 Its popularity has been so massive that it led to the increased attention to other Hawaiian dishes like spam musubi. Tamales have been very popular for more than a decade now, and demand is still strong. In fact, the demand for it increased by a whopping 456% across the US in 2016. Perhaps the reason why people don’t get tired of the tamale and want even more of it is that chefs come up with different versions every year. In the 2016 TamalFest, people lined up to try some of the 11 different types available. This dish enjoyed the biggest jump in popularity in 2016. The demand for it increased by a huge 1781%. In other words, the number of orders multiplied more than 18 times. This is the Colombia dish that’s the barbecued quarter of a veal calf. Not many people know of this dish yet, but you can expect that to change in 2017.